One of the biggest adjustments I see now that Lefty is playing kid pitch baseball is selecting a pitch to hit. I recently saw one of Lefty’s at bats where he swung at a high first pitch, strike one. He took the second pitch right down the middle, strike two. The third pitch was just about over his head and he swung for strike three! As I sat in the stands I said to myself, he let the best pitch go by. 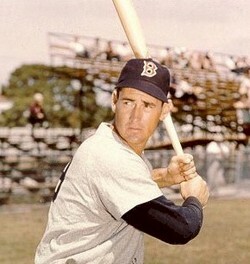 Ted Williams once said, “a good hitter can hit a pitch in a good spot three times better than a great hitter can hit a ball in a questionable spot.” You may have to read that twice like I did, but what he said is Get a Good Pitch to Hit. 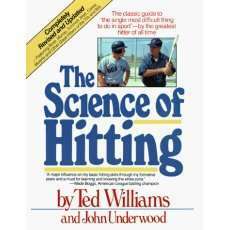 In his book, The Science of Hitting, he states the first rule for a good hitting is to get a good ball to hit – it is just that simple. In one of his teaching tools – a photograph that divides his strike zone into 77 baseballs, seven wide by 11 high – Williams projects what he would hit at each pitch location, from .230 on the low-outside strike to .400 in what he called his “happy zone,” the heart of the plate belt high. I know it will take Lefty many many at bats over years to find his “happy zone” and to develop his pitch selection. It is a difficult thing to do with the pressure of two strikes and as the pitch speed increases for each level. But, I think I will use Ted’s book and teaching tools to begin the conversation with Lefty on pitch selection. In the end, I would rather see Lefty aggressive at the plate swinging than just standing looking…even if the pitch is above his head! I agree… I would rather for B. to be aggressive and have hit in his mind, instead of looking for a walk . Your right, I have seen many of the kids get two balls to start the at bat, and then watch two of the three strikes hoping to get walked. Unless of course they are getting the sign from the coaches to take a pitch.